Many cultures around the world, from Native Americans to Sikhs, believe that hair has a special significance. Cultural beliefs about our hair and how it can affect us go back as far as recorded history. Many ancient cultures believed there is power in uncut hair. While each culture and belief is distinct, many are strangely similar. We’re going to dive into some different long hair cultures in a new series we’re calling Longhair Traditions. For this first post we’re starting close to home with long hair in Native American culture. 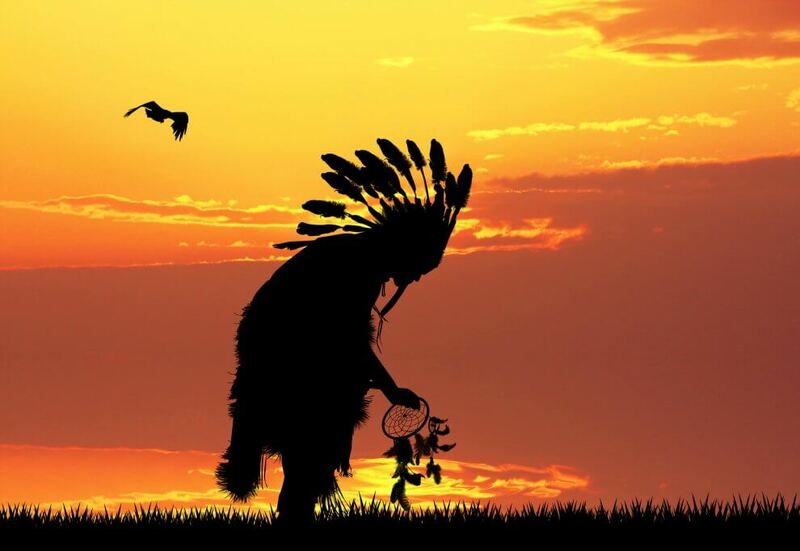 Native American cultures and beliefs vary widely between tribes and peoples, so rather than generalize all Native American culture we’ve pointed out some fascinating highlights across different cultures. Both men and women are encouraged to grow their hair. There are often special ceremonies for the first haircut, but after that they let it grow. There is significance in the way the hair is worn. There is a way to wear the hair for many ceremonies and dances. For many Native Americans, braided hair signifies unity with the infinite, and allowing the hair to flow freely signifies the free flow of life. Their beliefs around long hair, as many of their beliefs, are tied to the earth and nature. The long hair has symbolic significance tying them to mother earth whose hair is long grasses. Many Native Americans believe their hair is a physical manifestation of the growth of the spirit, and some say it allows for extrasensory perception, and connection to all things. What does cutting the hair signify? Many tribes cut their hair when there is a death in the immediate family. Its an outward symbol of the deep sadness and a physical reminder of the loss. The cut hair represents the time with their loved one, which is over and gone, and the new growth is the life after. The cutting of hair can also signify separating from past actions or thoughts. When a Native American cuts their hair, the hair is often treated with respect. It can be placed into a flowing river, buried, or burned. Samson notwithstanding, some Native American tribes even believe that the hair is connected to the nervous system. That long hair reaches out like tentacles, and pulls energy and information from the world around us similar to a cat’s whiskers. We’ve come across different versions of a story about the Vietnam war, where skilled Native American trackers were recruited for their abilities as scouts by the US Army. It’s said that after joining the Army and getting their military haircuts, they lost their powers and failed to perform in the field. Whatever credit you give the story, the idea of feeling through your hair has merit. It’s certainly true each hair creates a contact point with your scalp. And with long hair, those are thousands of extended touch points bringing in tactile sensory information from your surrounding environment. From that standpoint, the notion of “feeling the world” around us doesn’t seem that far-fetched. These are just a few of the interesting cultures and beliefs we’ve come across. Dive a little deeper in this post, including videos of Native Americans describing the significance of their long hair. We write this post with respect and appreciation for all cultures. If you have anything to add, please share in the comments or contact us directly. Do you think long hair increases your powers of perception? What other long hair cultures should we cover here? I’d really appreciate it if you could to a topic on long hair and its significance for either Nordic or Latin American (preferably aztec or mayan)!! Nice suggestions. Those would both be interesting to explore. I am thinking Vikings next! But we are of the same branch, so when you talk about native Americans you are talking about Aztecs. That in no way is true!!! AZTECS ARE NATIVE AMERICANS!!! YES!!! It would be cool to know more on this topic fro around the world. What about the Rastafarians of Jamaica or the Sadhu of India? Great ideas man! We’ll get some of these in the queue. Thanks mate! Relating this article to the modern western world, I do feel there is a social perception of longhairs challenging standardised culture, taking a different approach to life and intentionally standing out. Within the business industry it’s often seen as non-conformist or rebellious which can be a negative as individuals struggle to relate with the person (out-group). Alternatively within the metal music community I think there are deep roots and connections with those long hairs especially the sense of belonging and being ‘one of us’ (in-group). Fascinating article especially about cultural identity. As the grandchild of two Blackfoot Native Americans, I would like to point out that the traditions, which were passed to my siblings and I from as early as I can remember, date back to a time before Columbus came and “discovered” America, and LONG before heavy metal music. Every depiction I have ever seen of Christopher Columbus, he has hair down past his ears and neck. Our long hair is believed to connect us to nature and the earth. It is a symbol of strength and power. Hair is only cut when mourning the loss of a close loved one and there is a ceremony that accompanies the placement of the hair back into the earth. It is cut to show the world we are mourning. To have someone cut our hair, as they did to my Grandmother, is humiliating, a sign of defeat, and strips away part of us that carries the stories of our life. Native Americans with their Headdresses, tribal dances, moccasins, rituals, and numerous other traditions, were here before anyone else and lived lives steeped heavily in tradition and culture. To Native Americans, whose land was taken from them, short hair is seen as a weakness and carries negative implications. Personally, I feel judging someone based on the length of their hair is beyond ignorant. My brother has a Mohawk, which is another accepted hairstyle in our culture, and works as the head chef at a five-star restaurant and owns a non-profit animal rescue. Both my sisters and I graduated college with honors and have hair around or past our hips. In no way is our hair a symbol of defiance or a way to “stand out,” we are proud to carry traditions of our family and have that amount of respect for our grandparents and ancestors that we deal with the inconvenience of having such long hair. I am proud to have been raised by parents who taught us not to judge others based on anything but the content of their character and the interactions we personally have with them. I hope black”foot” is a typo. 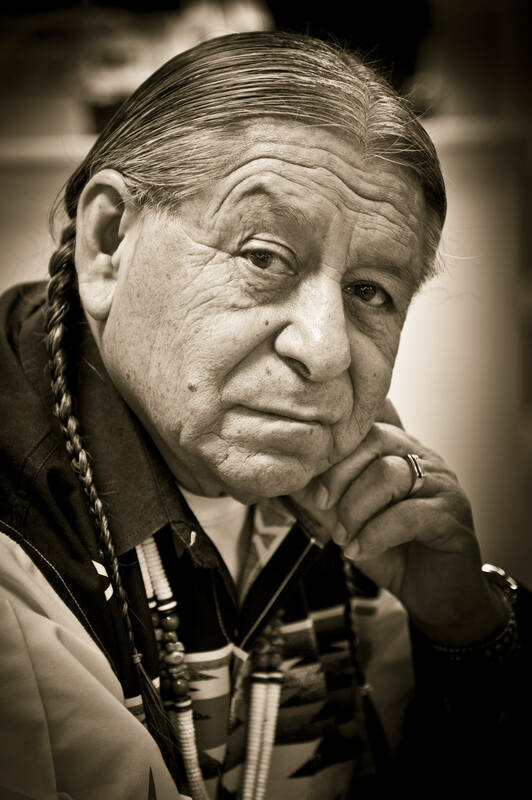 But its blackfeet also known as the pikuni people. I agree mostly on everything you stated, but the part about judging people with shorter hair. I have yet to meet a native who did so. Our hair is our medicine, but we dont judge on hair length. Mostly on character. As natives, we live in 2 worlds. Living in modern day society, and living on that red road. Thank you for sharing such a beautiful story! I would love to connect with you via Facebook if you have one. My name is Cassaundra Roskowske and it will show that I work with Richmond Vale. As a native of Creek Nation, I appreciate your description of what long means to Native Americans. Spot on. Mvto is thank you in our native tongue. Glad to hear it JT. Thanks for writing in. I’ve had long hair in the past. Nearly to my waist, but cut it all off in 2003. For the past several years, I’d get one cut a year. We’d take me down to a really short cut, then I’d enjoy the process of growing out some freaking awesome shag. It was a really fun process of having to change up hair styles every 3-4 weeks, in order to keep up with the growth. I’ve always been highly intuitive, but it was a hot mess running on auto pilot. I can’t say that my longer hair has heightened my “gifts”, because it also coincides with me learning to listen to them more. And, correlation not being equal to causation, I cannot factually claim that my longer hair is making me more intuitive than before. It’s a good idea though, and is much more interesting a story than mere boring coincidence. I agree that how we wear our hair can be tied to how we feel. I’ve gone through periods of change, and all I wanted to do is chop all my hair off, like the hair was holding me to my old patterns. It’s interesting to consider that your hair could be helping you harness your intuition. That makes me think about the common belief that women are more intuitive than men. Could it be somehow tied to hair length? Though women tend to have longer hair than men in most cultures, a woman’s naturally higher access to consciousness and intuition is due mainly to her ability to bring forth life. It creates a direct connection between Spirit, Human, and Earth. Women are also more intuitive during menstruation. Long hair is one of many things that contribute to energy, power, intuition, and connection. It can act like antennas and also records down memory and emotion during the time period of growth. No se sinlla lo hicieron pero hablen de Sanson que tenia la fuerza por su pelo. I’d like to hear some history and theories on the reason why Japanese samuri grow their hair and wear it. I’ve heard stories of how hair symbolizes honor amongst fellow samuri, and whenever the hair is cut it represents a great loss of honor and respect. I’ve been growing my hair for over a year now, and I can definitely relate to some of the ideas and beliefs from the Native Americans. I respect their cultural values, and understand the connection with nature and spirit. On the other spectrum of Longhairs, I have worked with Buddhist communities in Thailand, Burma, Laos, Cambodia, Vietnam, Singapore and Malaysia and they remove all of their hair–head, arms, legs, chest, eyebrows, etc. When men and women go into the monastic community, they cut their hair as a symbol of purification– non-attachment of ego and self. 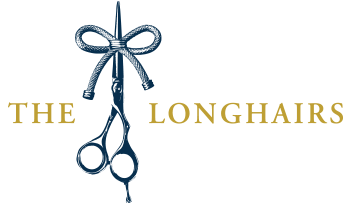 I find this of particular interest knowing how much time and energy Longhairs spend caring for our hair and often times defines us. This concept might be an interesting topic to write or do an audio blog. Possibly someone at the Deer Park Monastery in Escondido, CA would be available to speak with and share? The hair removal of Buddhist Monks is a topic worthy of further discussion. As we well know, it takes a considerable amount of time and effort to groom hair. We spend so much time on our outward appearance. I can see that there would be more time for spiritual growth without that vanity, and instead turning those efforts inwards. It would be fascinating to interview someone that had taken the vows, and shaved their body to see how they felt doing it and how it affected them. I believe it also takes quite a bit of time and effort and vanity to continually maintain hairlessness and remove hair from the entire body. I dont know of the process the Buddhist monks use to “dehair the entire body ” but I imagine it takes quite a bit of time and effort! I know this is late, but i have to point out how much time it takes to shave all the hair off the body, and doing it constantly for a reason isn’t part of vanity or ego? it seems just letting your hair grow shows you have nothing to prove. To me it’s both the same, we’ll never rid ourselves of ego because it is what we are, all we can do is learn to live with it and not let it take us over. I think every culture had one point in history where long hairs would be the way to go. I feel like the vikings are one of the most commonly known Longhairs in history, so that would be a good next stop for the “Longhair Traditions” journey. Also in my opinion Japan in the Edo-Period had some interesting hairstyles. The “chonmage” for example (wich is still worn by sumo-wrestlers) is a fancy, interesting and pretty rad one. Agreed on the wind – thank God for hair ties! I was very surprised how emotionally attached I became to my longer hair when I finally decided to just let it grow! With long hair I feel more confident than I ever did with short hair, …maybe because for the first time ever, I’m living as my authentic self. My long hair appears epic, as though I stepped out of the pages of a historical time line! To be completely honest I have been waiting for the cultural (Mainly Native American) reference article to be created. I happen to be Native American and I actually began growing my flow out since my first year of college. I truly started to feel my connection with Mother Earth and The Creator. I do also understand and respect other cultural beliefs such as the Rastafarians, where the longer your hair means the older you are and with that comes respect for ones elders. I also appreciate the story of Samson where his locks signify his strength. This was a very great read and I appreciate the accuracy. Keep them coming, YEEE!!! I’m so glad you enjoyed this article, and you felt it was accurate. One of my main goals in this series is to accurately and respectfully describe the traditions and cultures that we feature, so its great to get positive feedback from you. I definitely plan to do a post on the Rastafarians, so stay tuned. Congratulations to the creators of this site. Take note, be sure that you notice, that all your hard work has led to a person who is a non-native English speaker translating an article for you . Finding your efforts important/VALID enough to take their time to translate it into French. That’s pretty freaking…. HONEST! This is fascinating…it made me interested enough to see (on Amazon) if there are any books on the subject (and I didn’t find much…titles about styling and one book of poetry about boys and long hair). Then I started thinking that you guys should write it…to include history/culture re male long hair, section re nutrients for long hair; styling for various occasions/with/without hat…always with your bands; how to flip it…etc etc. I have a feeling your site may mark the beginning of a movement…with that in mind, a book from you guys might be a nice torpedo/additional product. We’re writing it, one blog post at a time. Thanks for the book idea and for writing in! I have naturally wavy hair, and before I cut it off, it was half way down my back. However, I hated it, and I never understood it. So one day, I did a pixie cut and it did so many things. For starters, it automatically weeded out judgemental superficial people. Guys who wanted to date me before now had no interest. Some girls avoided me because all women with short hair are lesbians right? Ignorance…So it taught me about character in general. It complimented my face shape and it made me confident. Then, with having such a small amount of hair to maintain, I learned the chemistry of my hair and how to make it healthy, and also how to make my natural waves smooth and beautiful. Now that I am growing it back out, I begin the journey in full understanding of my hair, that ties me to nature and that spiritual wild side, and also with a new perspective on human nature. It’s taught me to be aware, and in some ways…to be feral. The drastic reset button of sorts gave me some things that I was missing. It’s just hair, but then again, it’s not. Great comment Gadawggrl, appreciate reading your story. While it’s the opposite of most people here, it’s very much the same. Glad you came across The Longhairs and decided to share. That’s pretty awesome! I’ve never thought of it that way. My hair is my religion, it represents my faith , my culture and my tribe. a way to stand out . Many thanks for this blog! I’ve always wondered about various reasons for long hair from different cultures around the world. I definitely agree that doing a post on Vikings or perhaps early Picts/Celts or any pre-Roman European tribe would be excellent. I had long hair in my 20s and then cut it in my later 20s only to let it grow again in my 40s. I realized recently that I started letting it grow longer after a trip to South Dakota about 5 1/2 years ago. Even though I don’t have any indigenous blood, I seem to connect with many of their beliefs. My own indigenous backround would be generically called “celtic” I suppose and unfortunately, it is hard to find very much on any pre-Roman tribes of Europe. The bit of reading I’ve done does suggest many similarities between native Americans and ancient Celts. A good book I read a year or so ago called “The Druids” by Stuart Piggott has a couple of pages showing old Britons with war paint and long hair (during Caesar’s time) side by side with pictures of native Americans around the 16th century. Glad you liked the post amigo! The Celtic people have many historical and cultural beliefs based on hair length, and hair color. Many are related to the spiritual life. This might be interesting to investgate. Yes Pat we’ve heard that too! Need to dig a little deeper on that one. It would be cool to see the people who committed how they wear their long hair and I seem to always fighting the shedding of hair it seems to be everywhere I Don’t know if it worse cause I am in a wheelchair or its that way for all. A dear friend died a few days ago. Her husband was a Native American. One of their sons has been involved in his tribes traditions. The family held an open house this afternoon, and I noticed their son had cut off his long hair. I asked about it, and he said there are reasons for cutting ones hair. I asked if it was a culture thing, and a ceremonial thing, and he said yes. He told me he took a knife, and cut off his braid. I just did a google search to see if the hair cutting was due to his mother’s death. Thank you for the article. Our condolences for your loss, Nancy. Glad you found the article here and thank you for sharing your experience. I hate having to cut my hair. I f insulted by people who tell me I should. Mostly I the form of their statement usually ending in a very mild insult. But it’s hard to tell them why I wish not to. Everyone else compliments it. For one I look so my better with it long. And two I can relate to this article, I feel power with it like a lions mane. Don’t forget about the Nazarites. They let their grow long to show that they were devoted to God. My long hair gives me self-confidence to go out of my house and face the world. Great to hear Chrissy! Thanks for sharing. I am roaming wolf known to many as a person who falls traditional ways and I was taught that are hair symbolizes a form of our pride and the only time you set aside your pride is through death or dishonor. The closer we feel to Mother Earth and the closer we feel to being natural the more our pride Grows with our hair. Each time someone passes in my family or dishonor has been placed upon my circle that’s the only time I cut my hair and recently the state has taken my children from my ex and so they ask for my permission to have their hairs cut I hope they don’t dishonor my request for them to be able to keep their pride. I am proud of the Heritage I belong to and I am proud to try to keep the Traditions alive as long as I can, but however I feel that white man has not given up the discrimination against our people and I fear that they will cut my children’s hair anyways or they will take my rights as a father away. They have also put them into churches and Christian events and I have asked them nicely and have explained to them that I am not a Christian I am true natural ways of the old traditions of our people and I asked that my children not be imposed the Christian beliefs not without my approval because if my children can come to me and ask me, then I can give them my blessings for making a choice of Their Own but I would have the opportunity to talk to them first about their feelings. If you want to know more about this feel free to email me. Thanks for sharing this friend, it’s good to have your comments here. Wishing you well in your situation. I have recently began trying to reconnect with my spirituality. The first step was spebding more time out in nature. And secondly growing my hair back out whist has been difficult as I am active duty but that is to Admiral bell i have been granted a religious accomodation and I am no longer required to trim it. I just recently cut the back of my hair in honor of losing my mom,,, I always wore it long in back, it wasn’t cut nor even trimmed, I’m of native American decent, of the Ojibway nation out here in Minnesota..
What is the proper thing to do with the cut off braid when a Close family member dies? Very interesting story about the cutting of the hair! What a beautiful submission. Thank you for sharing it. I always found that grades were better with long hair than with short hair. Plus I find that long hair is more honest and who people really are. Have always cut hair once a year, now that I am 48 I have decided not to get it cut anymore. Interested in finding out how to tie hair as I have never done so. My hair was long through high school and up until I went in the army. When I finished my tour, I left it alone save for an occasional trim. For the next 25 years it was long. I was conned into a trim one day in 2000 and most of it was loped off. In 2014 I announced I would not cut or have it cut again. Now at 66 years of age, there are a few gray ones that I call battle scars. I am extremely happy with it and I feel better inside with it long than I ever did while it was short. I too connect with the earth via my mother, Aztec is in my blood. Mines more of a question than a statement… Why do some women (from many different cultures and backgrounds) do “hair wraps”?! Not to be confused with a “head wrap”… meaning tying on brightly colored hemp, twine, rope, or even string, often I’ve seen with beads as well!? What’s the significance or meaning behind it?! Where did it start?! I wear wigs, because I have bad hair, my wigs are made from hair of every race of people on earth. Except native Americans. I was wondering why, when I came across this blog post. In many countries, even in Europe, women sell their hair when they need extra money. Good quality hair is highly prized, European, Russian, Vietnamese, maylasian, Brazilian, Peruvian ( the only native group from the Americas) Chinese, Indian ( from India), Cambodian, the list goes on, But no native North American hair. Could this be because of traditional beliefs? I have had long hair for many years. I grew it out for 3 years and cut it when my wife passed away in 2000. I noticed that I lost much of my awareness of what was around me and did not have insight into the people I was with. These abilities returned after my hair grew back out about 6″. Other than trimming about 1 inch every year I have not cut it since. It’s now longer than it ever has been and I always feel very connected to the energies around me. Thanks for sharing David, glad to have you here. I was a Marine in Vietnam and the account of Native American “trackers” losing ability because they cut their hair is BS. Glad to have you here Tom. Long hair power, short hair weakness= BS. It’s a matter of cleanliness. USMC/Vietnam 68-69. I dont understand..those it mean .keeping hair is powerful? I’ve thought of my hair like this for many years never really knowing why, but it was a great lesson for me and still is. As I’m learning more about my roots and learning the significance of hair, this connection makes sense and feels good! I am a long hair. I have Blackfeet from my fathers side and Cherokee and Celtic from my mothers. After I got out of the Navy I let my.hair grow shoulder length. Got married, got divorced……….let it grow. I look at people through the same eyes with short or long hair on me…….they look the same, buy people look me differant with it long. So I have discovered, hair length doesn’t change the man, just the way people see him. We are the last discrimination. Not a race or religious, gender issue. For women its a choice and they are accepted either way. For men, it tells them I am my own master and there are many who know we bow to no man except God. I wish I could grow some long hair! Chemo messed me up for life with thin hair. Really don’t understand what this website is about??? Or really how I found it??. I’m assuming it’s about things to pull your hair up with??? Lol?